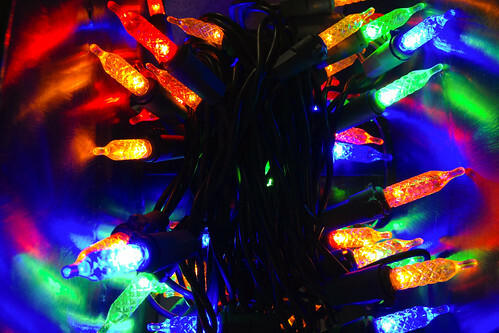 It's once more the most joyous time of year--when Cory and I unleash our ever-growing investment in Christmas decorations on the office, turning three-shades-of-grey cube farm into a Griswoldian explosion of lighted cheer. Props to Zac Paladino for suggesting this shot to me. Oh--and the home stretch of the 365 project is officially here--just 30 days to go! The end is actually in sight at long last!